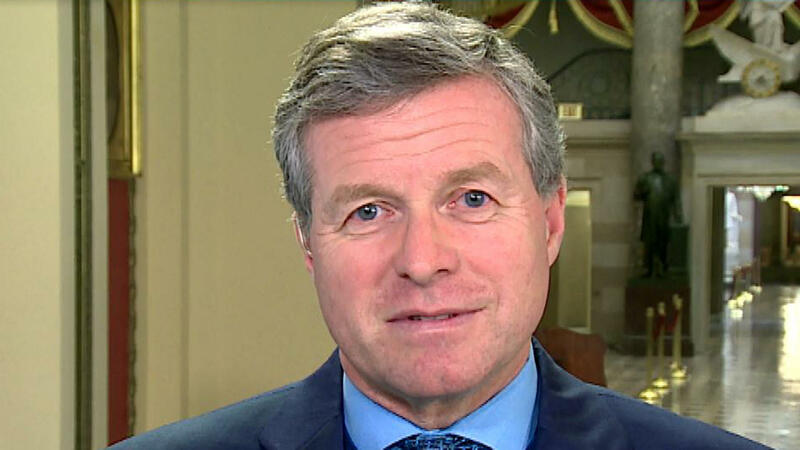 Rep. Charlie Dent, a prominent moderate Republican from Pennsylvania, announced Tuesday that he would leave Congress "in the coming weeks." Dent had previously announced in September that he would not seek another term in office after serving as a member of Congress since 2015. Charlie Dent has been arguably the most outspoken House Republican when it comes to the direction of the modern GOP. He routinely says the party has become about "loyalty to the man," meaning President Trump, rather than to a set of ideas. And he has made no secret of the fact that he feels somewhat out of place in his conference. Read more: Who are the Republicans retiring from Congress after 2018? "After discussions with my family and careful reflection, I have decided to leave Congress in the coming weeks," Dent said in a statement. "Serving the people of the 15th Congressional district has been a tremendous responsibility and the privilege of a lifetime, and I am honored by the trust that so many of my constituents placed in me to represent them in Washington. Actively engaging in the legislative and political process presents many challenges, and in so doing, I believe I have had a positive impact on people's lives and made a difference in Congress. I am especially proud of the work I have done to give voice to the sensible center in our country that is often overlooked or ignored. It is my intention to continue to aggressively advocate for responsible governance and pragmatic solutions in the coming years." Twenty-three Republicans have announced that they are not seeking another term, including House Speaker Paul Ryan, while another five have already resigned their offices. A number of other House Republicans have announced that they are running for other offices. CBS News' Nancy Cordes contributed to this story.